Welcome one and all to the latest edition of TLFG. How was the international break for you? Did you venture into the lower leagues for the first time or do something completely different instead? With non-league football taking a more prominent position than normal, the plight of some of our local sides came more sharply into focus. One of the biggest stories of the last few days is what has happened at Dulwich Hamlet. Amongst the most well known non-league sides in the country, it's been feared for a while that for all their progress on and off the pitch it could all be undone by their property developer owners Meadow Residential if a deal to develop the land around the stadium fell through. 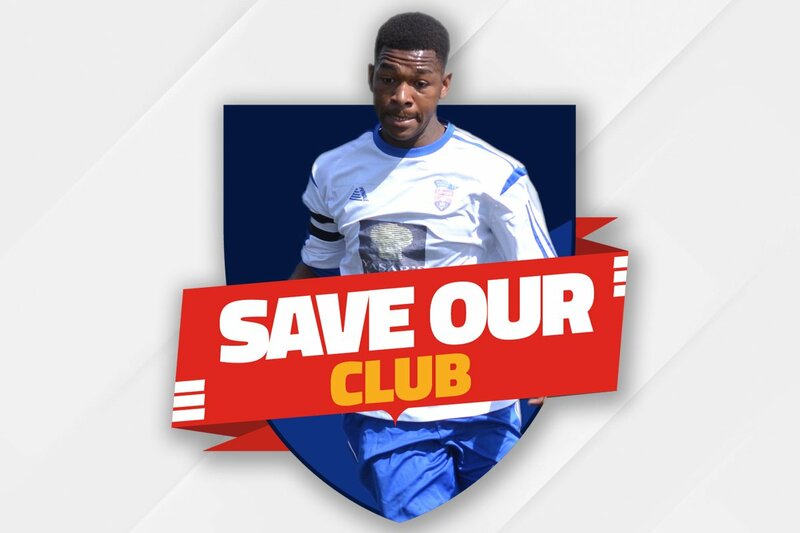 This week those fears came to pass when the company effectively pulled the plug meaning Dulwich now have to raise their own funds fast to keep things going. With average crowds of 1,500 (huge by seventh-tier standards) and with quite a few high profile fans and friends - hopefully they'll pull it off but fans are still being urged to donate and head to Champion Hill in large numbers for their next three home games to give them as much chance as possible. In north-east London a distress call was also sent out by Essex Senior League side Waltham Forest who have fallen on hard times as well. The announcement came shortly after the news that the club's chairman had died though whether it is related is unclear. Why should you care? Formed in 1868, Waltham Forest are the second oldest club in London and therefore one of the oldest in the world so it would be a huge shame to see them fold. Throughout non-league football, clubs are scrimping and saving to make ends meet so getting along to a game, even if it's just once a season, came make a difference so give it a go if you can. I fully intend to be at Dulwich on Tuesday to watch my beloved Harrow Borough. Maybe see you there. With the international break coming to an end, there are over 90 matches in the London area over the next seven days. The highlights include England's game against Brazil and a couple of cracking local derbies. Guess I picked the wrong day to get to London. As only game I can visit on Sunday is the Watford game. Do you know if, besides the 4 lower league games, there are any (youth) games near the Hackney area on Monday the 20th? Otherwise I might have to do some sightseeing ;). And I better not forget to check next weeks post as I will be back then for Spurs and West Ham games. Hi Bennie - on the 20th there is an U23 game between Crystal Palace and Colchester United but it takes place at the Eagles' training ground way down in Beckenham which is nowhere near Hackney. In the evening there is a non-league match between Tower Hamlets and Redbridge which is close to Mile End Tube station - very near to Hackney. Check next week's blog to see if anything else catches your eye. The Tower Hamlets game is the one planned at 19:45. And as my hotel is near Hackney was looking for an earlier game near the area. Will have a look for the Palace U23 game if it fits. Otherwise might check for a stadium tour. The under-23 side's game at home to Colchester United on Monday 20th November will be played behind closed doors at the club's Copers Cope training ground, meaning fans are not permitted to attend. Good to know about that game being behind closed doors as it really varies - last week's match there was open to the public. I will wait for your next post!